WYOMING, Minn. -- A police department in Minnesota is getting a lot of attention for a humorous photo posted on Twitter on what's known as "Weed Day." As you may know, April 20, or 4/20, corresponds with a numerical code for marijuana. You can read more about that here. 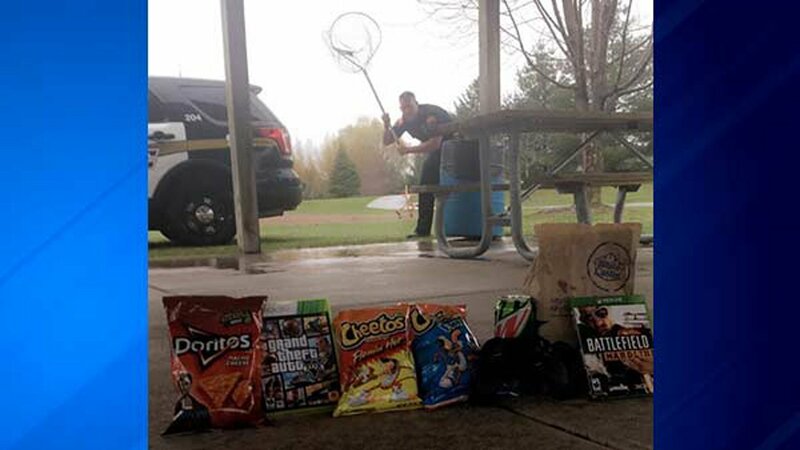 The Wyoming Police Department tweeted a staged picture showing a "trap" baited with munchies and video games - along with an officer ready to net any stoners who take the bait! The caption reads: "Undercover #420 operations are in place. Discreet traps have been set up throughout the city today. #Happy420"
The post has been retweeted more than 96,000 times and liked more than 164,000 times as of Thursday afternoon.